For the men who love the cooler, shiny look of white gold in a bracelet, this men's Italian 14K white gold beveled curb bracelet from Apples of Gold Jewelry is a piece that you won't want to miss. 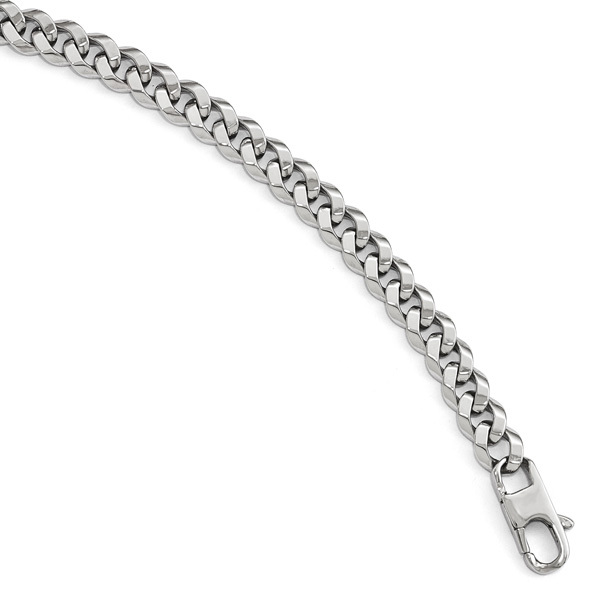 The beveled look of the 7mm wide curb chain is unique and exciting, and the 8 inch long link chain makes it easy to fit. 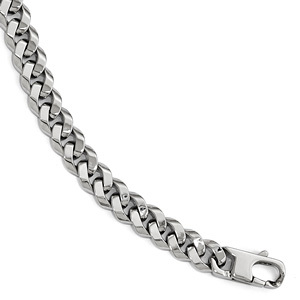 The bracelet weighs approximately 10.37 grams of 14K white gold, and the polished finish gives it an attractive appearance. 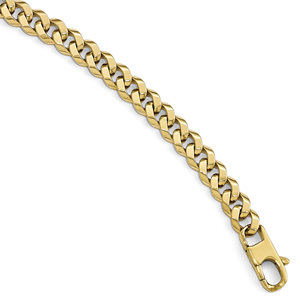 The handmade curb bracelet also features a designer lobster claw clasp, and is made in Italy. 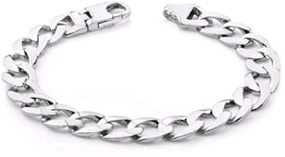 We guarantee our Men's Italian 14K White Gold Beveled Curb Bracelet to be high quality, authentic jewelry, as described above.